Born on 9-8-1943. She was born in Baltimore, Maryland. She is accomplished in the area of Historian. Peggy Brooks-Bertram is the youngest child and seventh daughter of Margaret Gilliam Brooks and Vernon Brooks of Richmond, Virginia. She has two brothers, Ivor and Herman Randolph. She moved to Buffalo, New York in 1986 with her husband, Dennis A. Bertram, and two children Dennison Ivor-Jean and Lillian-Yvonne Margaret Bertram. Lillian is a sophomore at Carnegie Mellon University majoring in Creative Writing, Spanish and a student at University of Pittsburgh in Latin American Studies. Dennison is a senior at University of Pittsburgh and a major in Eastern European Studies. He is currently in Prague. She completed a B.A. in Political Science from Goucher College in Baltimore, Maryland, and received a Masters and Doctorate from the Johns Hopkins University School of Hygiene and Public Health. In June 2002, she completed a second doctorate in American Studies from the University at Buffalo. Currently she is an Adjunct Assistant Professor in the Department of African American Studies at the University at Buffalo. Dr. Bertram is a multi-talented individual with interests across a broad spectrum including public education, special topics in public health, journalism, creative writing, and independent scholarship on various topics in African American history. She is the founder and CEO of Jehudi Educational Services, an independent consultant firm specializing in K-12 curriculum development, staff development and training, conference and seminar planning, and specialized grant and proposal development. Dr. Bertram is devoted to public education and has a distinguished record of advocacy for parents of children in public schools. Her previous activities included Chair, Parent Advisory Committee, Buffalo Board of Education; Chair, Early Childhood Centers; Member, African History Infusion Committee; Chair, Prevention Committee, Blue Ribbon Task Force on AIDS; and others. She remains a vocal advocate for parent involvement in public schools. Her advocacy resulted in the co-founding of Concerned Parents and Citizens for Quality Education, Inc., a group credited with increasing public awareness of educational issues, organizing parents as effective advocates, securing public funding to educate parents, and shaping public policy on review of Board of Education members. Her interests and activities in public health include African American women and depression and developmental disabilities and African Americans. Her book chapters on depression include "Social and Psychological Aspects of Women's Health: A Diversified Perspective" in Psychiatric Issues in Women, Bailliere's International Practice and Research in Psychiatry (1997) and "African American Women: Disfigured Images in the Epidemiology of Depression", in African American Women and Health edited by Catherine Collins (1997). She also is interested in African American women and work-related depression. She maintains a special interest in families of children with neurological impairments. She was instrumental in the creation of a parent-based organization called the Alliance of Neurological Impairments to provide services for families with children with "low incidence" conditions such as Prader Willi Syndrome, Neurofibromatosis, Narcolepsy, Spina Bifida, and other impairments. She is nationally known for her work with Prader Willi Syndrome and has successfully written grants for Buffalo agencies to provide services to these families. Dr. Bertram is no stranger to broadcast media. For several years she maintained a bi-line, MAAT, with the Challenger newspaper. She produced her own radio program, Peggy's Place, which focused on issues pertinent to the African American community. She also was co-producer and host of an educational television program, Education in Review, which informed the community of major educational issues in Buffalo and beyond. She is a playwright, poet, and dramatist. Her creative writing includes five children's books entitled, African On My Stairs. Illustrations from this series hang in the Rev. Bennett W. Smith Family Life Center at St. John Baptist Church. In 1988, her play, Dynasties of Kush, was selected to be included in the University at Buffalo, First International Women's Playwright Conference. It was enacted at the Langston Hughes Institute. Dr. Bertram also is an independent scholar, researching and writing on the Dungy family of Virginia. Her particular interest is the life and writings of Drusilla Dunjee Houston, author of the obscure and forgotten text, Wonderful Ethiopians of the Ancient Cushite Empires. She is author of a book chapter on Houston to be featured in the Oklahoma Encyclopedia Project, part of the 2007 celebration of the founding of the State of Oklahoma. She is also author of a book (in press) on Houston entitled, Drusilla Dunjee Houston: Uncrowned Queen in the African American Women's Literary Tradition. She has lectured on her scholarship at numerous Universities and colleges throughout the United States, Africa, Europe, and Canada. In 2001, Morgan State University awarded her the university's first Distinguished Achievement Award for Outstanding Contributions to African American History and Culture. Other scholarly interests include the Old Testament dynasties of the ancient Kings of Kush. Her book chapter on the Kings of Kush appears in the Journal of African Civilizations, edited by Ivan Van Sertima (1997). Dr. Bertram has been instrumental in building organizations to benefit community development. These include co-founding of the WASET Cultural Heritage Society, Saturday School for African American Children; Concerned Parents and Citizens for Public Education; and more recently, the Uncrowned Queens Institute for Research and Education on Women, Inc. The Uncrowned Queens Institute is derived from the Uncrowned Queens Project a web-based application of history and cultural enrichment for the African American community, uncrownedcommunitybuilders.com. Community service awards include M.O.C.H.A. (Men of Color Helping All) of the Year Award, African-American Fire Fighters; Clifford G. Bell Community Service Award; and the National Association of Counties, Individual Achievement Award for Family Support Programs for Families of Children with Prader-Willi Syndrome. More recently, Peggy received the University at Buffalo, UB Service Excellence Award for the Library Internship/Residency Program, 2001. 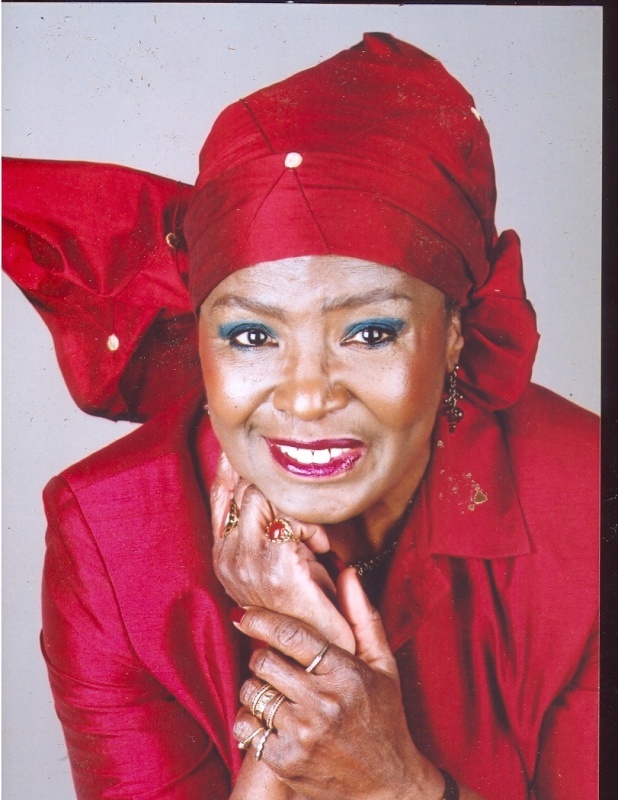 In addition, she is the recipient of the UB Star Award 2001 for outstanding work on the Pan-American Exposition centennial celebration with the Uncrowned Queens Project. Awards from women's organizations include the Xi Epsilon Omega Chapter of Alpha Kappa Alpha Sorority Excellence in Education Aware; the Mary B. Talbert Civic and Cultural Club's Award for Community Service and the prestigious Buffalo Urban League's 2002 Community Life Award. She also is the recipient of the William Wells Brown award from the Afro-American Historical Association of the Niagara Frontier. She is the co-author, along with Barbara Seals Nevergold, of a recently published book, Uncrowned Queens: African American Women Community Builders of Western New York. She is co-authoring a second book on the African/African American experience at the Pan American Exposition. It is entitled African, Darkies and Negroes: Black Faces at the Pan American Exposition of 1901. Dr. Bertram is a member of the St. John Baptist Church where she is Chair of the St. John Hospice Development Committee. In this position, she has a leadership role in developing the first Faith-based Hospice and Palliative Care center for an African American community in the nation.